The Chinese of Honey-Mouthed And Dagger-Hearted--Kou Mi Fu Jian is 口蜜腹剑, and Pin Yin kǒu mì fù jiàn. During the Tang dynasty, there was a treacherous court official named Li Lin Fu. He was known for his flattery of the Emperor and skill in the political scene, which enabled him to remain powerful throughout his lengthy duration as the prime minister. To secure his power, he cut off all routes for all potential political challengers, including false accusations against other officials and the granting of key military commands to non-Han commanders. He did all these underneath a mask of friendliness. In 742 AD., a capable minister called Li Shi Zhi was favored by the Emperor of Tang. 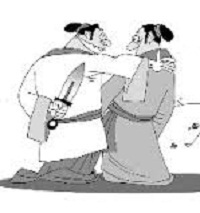 Li Lin Fu pretended not to care, but in fact was trying to find ways to damage him. 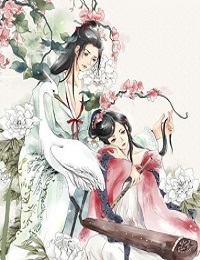 One day, Li Lin Fu told Li Shi Zhi about some gold that was hidden over in Hua Mountain, and Li Shi Zhi, as Li Lin Fu expected, soon proposed to the Emperor worried about the decrease of the state revenue to mine the gold deposits. The Emperor then asked Li Lin Fu for his opinion, Li Lin-fu acted very indifferently, saying "I knew about the gold mine a long time ago, and I didn't tell it to your Majesty on purpose." "Why?" said the king in surprise. "According to Taoist principles, Hua Mountain is in the place where all of Your Majesty's auspicious aurora are gathered. Any damage to that area will certainly be harmful to your health and state. Who is it that brings out such a foolish idea? " Hearing this, the Emperor thought that Li Shi Zhi was not as considerate as Li Lin Fu, and later demoted the former to remote area. Now the idiom of Honey-Mouthed And Dagger-Hearted--Kou Mi Fu Jian is often refer to those with an honey tongue and a heart of gall. This idiom has quite a few English counterpart, such as "a fox in a lamb's skin", "treachery lying underneath a mask of friendliness" and "Bees that have honey in their mouths have stings in their tails"